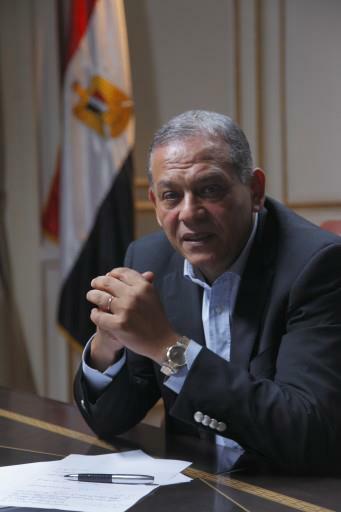 Anwar El-Sadat (Head of theReform and Development Party) requested from the ones responsible for the affairs of the Egyptian sports as well as the players an urgent initiative for an immediate meeting with the leaders of the ultras to calm the heated tension after storming the Football Association and the Police Club on Wednesday, and after the idea of resuming the football activities in the coming period was rejected. El-Sadat confirmed that the anger of these young people must be contained for the sake of coexisting and communicating with them, it needs to be tapped so as to benefit both Egypt and the football activities instead of leaving it unleashed to cause strife, disturbances and tragic scenes which all affect the image of Egypt in front of the world, especially after burning historical places like the Football Association which offended all the Egyptians. El-Sadat pointed that it is time for the Egyptian players who enjoy the love and confidence of the Egyptian masses to embrace the initiative and have a real contribution in easing the tension of the events in view of the current delicate situation the country is going through.